I will have a pair of Condor Speed Shop engine mounts and Garagistic 80a transmission bushings for sale. Together they are $65 plus shipping new from each place. I'm asking $55 shipped, or $50 picked up. I live in Cedarburg and work in Menomonee Falls. 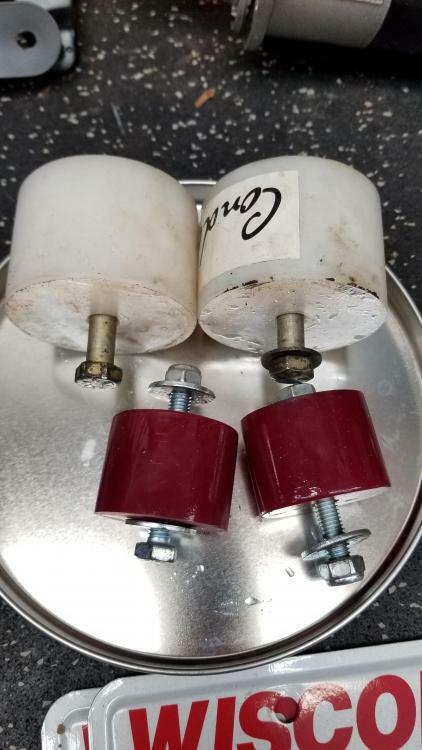 I have new bushings coming, but wanted to throw this out there that they'll be for sale. They're out of the car and ready to go.